The Pharmacy Technology Program prepares individuals to assist the pharmacist in duties that a technician can legally perform and to function within the boundaries prescribed by the pharmacist and the employment agency. Students will prepare prescription medications, mix intravenous solutions and other specialized medications, update patient profiles, maintain inventories, package medications in unit- dose or med-card form, and gather data used by pharmacists to monitor drug therapy. Employment opportunities include retail, hospitals, nursing homes, research laboratories, wholesale drug companies, and pharmaceutical manufacturing facilities. Graduates from the program may be eligible to take the National Certification Examination to become a certified pharmacy technician. Applicants seeking admission in to the Pharmacy Technology program must complete steps 1 through 5 in entirety between May 1, 2017 and November 15, 2017 at 5:00pm in order to be considered for acceptance for the Spring Semester 2018. Submit to the Admissions Office at Stanly Community College a properly completed Application for Admission for the Pharmacy Technology Program (D45580) for the Spring 2018 Term. If you wish to take general education courses for the Pharmacy program prior to admission, then an additional application must be completed as an Associate in General Education (AGE) with pharmacy interest applicant for the term and year you plan to begin general education courses. Please note this does not take the place of an application for the pharmacy program, nor is it required to be enrolled in the pharmacy program. Submit to the Admissions Office an official high school transcript and official post-secondary transcripts for all institutions attended. Applicants that obtained a GED/Adult High School diploma must submit an official GED/AHS transcript and a high school transcript. To track your transcripts for processing view your WebAdvisor. For questions related to transfer credits, call the records department at 704-991-0331. Submit evidence of successful completion of one unit of biology in high school with a grade of "C" or higher or the equivalent at a post-secondary institution (BIO 090 or higher). Students may choose to complete this subject through SCC's Adult High School program. The Adult High School courses are self-paced classes that will take approximately 2-3 months or more to complete. Students may choose seated or online classes, and must score 85 or higher to receive credit. Contact College and Career Readiness at 704-991-0362 or Eagle's One Stop at 704-991-0123 for more information or to sign-up for the Adult High School courses. Complete the placement test (NC DAP). If test results indicate a need for developmental studies, developmental classes must be completed prior to enrollment in the Pharmacy Technology program. Applicants who have previously completed ENG 111 (Expository Writing) or DRE 098 and MAT 140 or 143 (Quantitative Literacy) or DMA 10-50 may be exempt from placement testing. Applicants presenting NC DAP, ACUPLACER, COMPASS, or ASSET scores older than five years will be required to retest. For the applicant that has completed any college level courses taken with SCC prior to admission into the Pharmacy Technology program, a minimum cumulative GPA of 2.0 is required. _____Step 6. Submit to the PT Program Director a properly completed medical form (supplied by the SCC Admissions Office) after acceptance to the program. The medical form is to be signed by a licensed physician, physician's assistant, or nurse practitioner and received by the Pharmacy Technology Program Director by the due date specified on the applicant's letter of acceptance. _____Step 7. After acceptance to the program, submit to the PT Program Director current CPR certification. Current CPR certification is required throughout the student's attendance in the Pharmacy Technology program. The Pharmacy Technology program accepts a maximum of 12 students each spring semester. Applicants are conditionally accepted based upon their completion of steps 1, 2, 3, 4 and 5 of the admission requirements. The applicants will be ranked in order by the date applied and by their completion of these steps. The first 12 applicants who complete steps 1, 2, 3, 4 and 5 before November 15th of the year prior to the year they wish to enter the program will have an acceptance into the Pharmacy Technology program pending completion of steps 6 and 7. Applicants who apply to the Pharmacy Technology program after the 12 seats are filled will be placed on an alternate list in the order in which they completed admission requirements 1, 2, 3, 4 and 5. If any of the applicants who have been accepted to the program should forfeit their acceptance, those applicants on the alternate list will be contacted in the order in which their names appear on the list and will be given an opportunity to enroll. If an applicant whose name appears on the backup list is not afforded an opportunity to begin classes during the year in which he or she has made application, that applicant will need to submit a new application in order to be considered for admission that following year. (Admission requirements may change from year to year for selected programs). Any applicant who forfeits his or her acceptance will not be guaranteed acceptance in any subsequent year. The applicant must reapply if he or she wished to be considered for acceptance at a later date. Applicants seeking admission in the Spring 2018 Pharmacy Technology program must complete admission requirements 1 through 5 above no later than November 15, 2017. Applications for admission and college placement test results received after November 15 will not be considered. 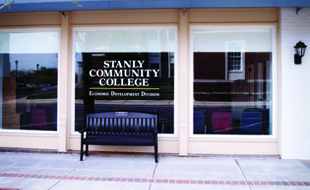 Applicants accepted for admission to health services programs at Stanly Community College are required to complete a criminal background check, drug screening, and possibly a finger print check after notification of acceptance and prior to participation in onsite clinical training. Based on the results of the checks, hospitals or clinical affiliates where the student will participate in on-site training may deny access to their facility, resulting in the student's inability to complete the clinical portion of training. Students unable to complete the clinical portion of his or her training will be unable to progress in the program. Students are responsible for paying all costs associated with this requirement. Complete all course requirements in the Pharmacy Technology curriculum, earning a grade of C or higher or SA in all Pharmacy-related courses (courses with prefixes BIO, MAT, and PHM) and an overall 2.00 grade point average. 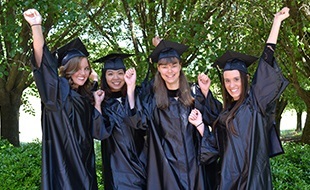 Complete an Application for Graduation prior to set deadline for May graduation. Pay a graduation fee at the time of registration for the last semester. 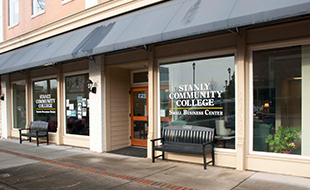 Earn at least one-fourth of the credits required for a degree, diploma, or certificate from SCC. Be present for graduation exercise. Graduation exercises are held on the dates published in the Academic Calendar. In cases of unavoidable circumstances, exceptions may be granted by the Dean of Student Development. During graduation exercise candidates must be dressed in proper academic attire as determined by the President of the College. RE-ENTRY STATUS: For students who have been previously admitted to the Pharmacy Technology program but did not complete the program. Students desiring re-entry status for the Pharmacy Technology program must submit an application for admission to the SCC Admissions Office and satisfy all current admission requirements for the program. Students will be permitted to re-enter the Pharmacy Technology program no more than once. Students seeking readmission to the program must submit their application at least ninety days prior to the semester in which they intend to enroll. Those who completed at least one full semester in the Pharmacy Technology program will re-enter the program in the term immediately following the last term in which they successfully completed a Pharmacy Technology course. Only those students whose cumulative GPA is 2.0 at the time of readmission will be considered. All core and general education courses listed in the semester(s) preceding the intended point of re-entry must be satisfactorily completed as outlined in the programs criteria for progression. Before being fully accepted for re-entry status to the Pharmacy Technology program and providing space available in the program, applicants must demonstrate a satisfactory level of competency in all Pharmacy Technology coursework previously completed. In order to determine the applicant's degree of competency in these courses, all applicants for re-entry status must successfully complete competency testing in all Pharmacy Technology courses completed up to but not including their last semester of enrollment in the program. Competency testing will involve a comprehensive assessment of all Pharmacy Technology course subject matter including skills labs and clinical components. After successfully completing competency testing and provided there is space available in the program, applicants for re-entry status to the Pharmacy Technology program will be admitted in the order in which their application was received in the admissions office. Students seeking re-entry status to the Pharmacy Technology program will be given one opportunity to successfully complete the requirements for re-entry status unless the student is denied admission due to space limitations. In the event the student is denied re-entry status due to space limitations, he or she must submit another application for re-entry status and successfully complete competency testing in order to be considered for a subsequent year.